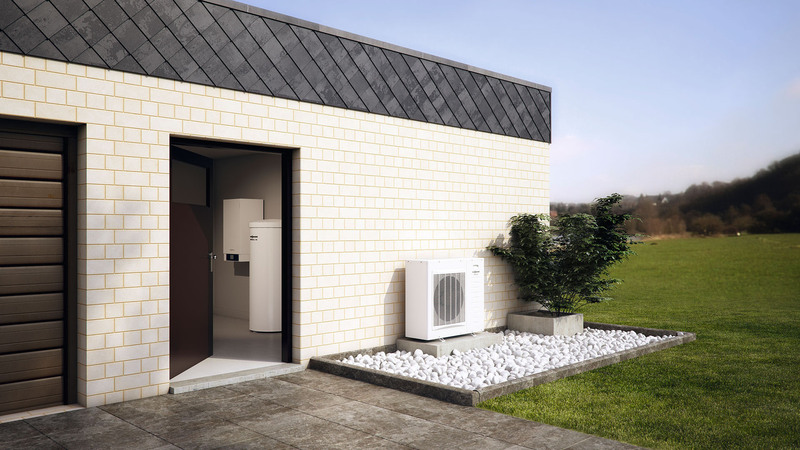 If you want heat pump to heat the house well and the investment quickly returns, you have to choose the right heat source. We can choose from water, air and ground and the choice depends on the plot on which we built the house. A heat pump is a device that looks like a small refrigerator or a gas fired boiler. The heat pump is used to heat your home and prepare hot water. Why was it called a pump? Because it uses heat, thanks to the thermodynamic changes – the same as in ordinary refrigerators and air conditioners – it “pumps” heat from a lower temperature source to a warmer such as water in our heating system. This colder source, the so-called lower, from which heat is received, can be ground, water and even air. The colder source to which the heat is supplied is heated by the water pump (less often the air) that circulates in the heating system. Therefore, the pump does not produce heat, except for some amount of side-effect of its compressor operation, but only transmits it from the lower to the upper source. The pump is powered by electricity that does not need much to make heating costs less than gas. What should you choose? Air, water or ground? Contact us and our technicians will help you choose the best option.